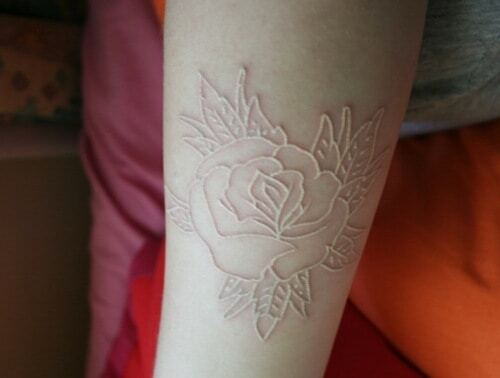 You decided you want white tattoo, you got excited – it looks great and unique, you have read all the necessary material (such as white tattoo on pale skin, white tattoos style tips, white tattoos benefits, white tattoos on dark people) and now comes the question – how much this pleasure will cost to you? The answer is simple – white tattoo should cost the same as other tattoos, those prices can start from as low as 50$ for small works (like hearts, roses, small tribal or letters compilation) from the flash assortment (tattoo shop per-designed album with art examples) that take about an hour to accomplish and increase with dependence on it complexity, time and effort that was put into and the artist mastery factor (better artists will charge higher prices) and the reputation of the shop. If you go to a shop that celebrities have gone to (like the ones in the TV show “Miami Ink”) it will probably be more expensive. Whatever you decide to get, make sure that it’s something that you’re true to and believe in.For more create and complex works, or if you bring some unique design, per-hour rate can be applied. Like mentioned previously, rates can very depending on many different factors, but the usual cost is 100$ to 250$ an hour. If you want the tattoo artist to do special tattoo illustration work, many tattoo artists won’t charge special fee for it beside the hourly tariff, but yet there can be cases when couple hundreds of dollars will be asked for personal illustrations. So, white ink tattoos cost should really be the same as other ones, studio that will charge you higher tariff is not a place you will want to do the job there. For tattoo design ideas, check out the recommended book Custom Tattoo 101, which contain over 1000 stencils and ideas for customizing your own unique tattoo. If you got any question about white tattoos pricing, how white tattoo designs should be mode, or any other question,please write in the comments. 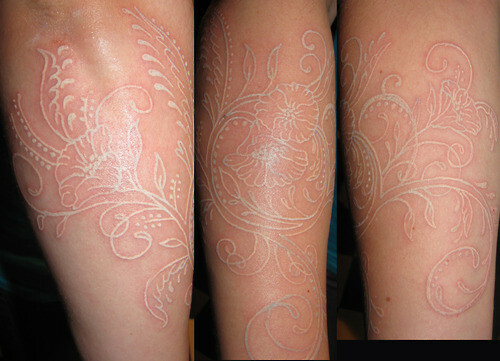 We will do out best to help and assist with the best white tattoo you can get.